Join other fun and friendly singles for a casual and comfortable after work networing event that you won't want to miss. Amber has a cozy atmosphere that is casual, comfortable and relaxed so you can interact with others. We will have an icebreaker game designed for you to meet everybody in a fun, friendly and flirty way. Extended happy hour 7pm-8pm, feel free to come early. Can I come alone? Yes 98% of those attending will be coming on their own. You may also bring a wing person. What are the age ranges? This event will cater the 20's to 40's age group. Dress code: casual, afterwork, no need for jackets or cocktail dresses but keep it neat. FREE - if you've attended other events with The Fun Singles in past 6 months, please login to your account and book a ticket for FREE. One time fee of $19 online (early bird) or $25 regular ticket price, if this is your first time attending a Networking event with The Fun Singles. 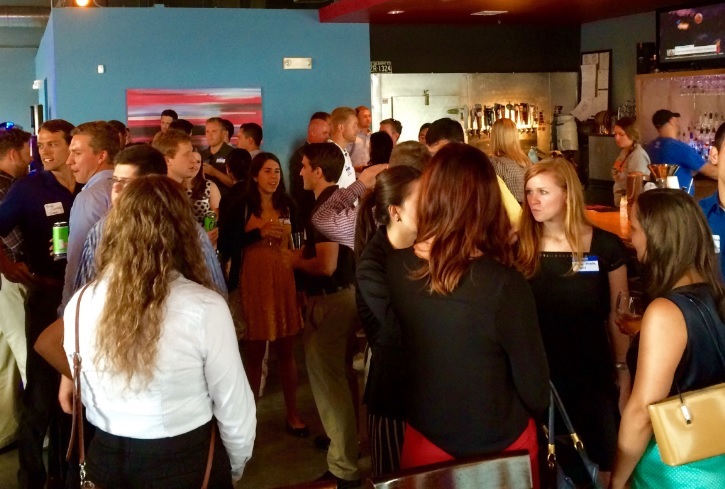 By attending this event you get a FREE pass to our Networking events in next 6 months.